In 1986, John Harman died in England. He classified chess studies. In 1986, incumbent Florencio Campomanes (1927-2010) of the Philippines was re-elected president of FIDE. In 1986, grandmaster Aleksander Wojtkiewicz (1963-2006) was arrested and sent to prison in Latvia for dodging the Soviet Army draft. While in prison, he studied chess and found a novelty in the Sicilian Defense, Accelerated Dragon variation. The new move was coined the "Prison Novelty." In 1986, Susan Polgar (1969- ) became the first woman in history to qualify for the "men's" World Chess Championship. In 1986, Viktor Korchnoi (1931-2016) tied for 1st place with Alexander Beliavsky in the Vienna IBM International Tournament. Each was awarded $3,100. In 1986, the Chess Association of China or Chinese Chess Association (CCA) became a fully-fledged independent organization. It is the principal authority over all chess events in China, including the China Chess League (CCL). The CCA is headquartered in Beijing. In 1986, Judit Polgar (1976- ), age 9, won the unrated section of the New York Open with a 7.5-.5 score. In 1986, Aleksandre Chikvaidze, a Russian ambassador, replaced cosmonaut Vitaly Sevastionov as President of the Soviet Chess Federation. In 1986, a Soviet entered the U.S. Open for the first time. In 1986, USAF Major Bill Wall won the Central Pacific Armed Forces Championship in Concord, CA. In 1986, Army Private Richard Russell won the 27th US Armed Forces championship. Air Force won the team championship. In 1986, Alex Chang took 1st place in the National Elementary Championship. His older sister, Angela, took 2nd place. In 1986, Yasser Seirwan won the U.S. championship, held in Estes Park, Colorado. In 1986, Jonathan Schroer won the Manhattan Chess Club championship. 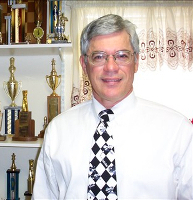 In 1986, Andrew Soltis won the Marshall Chess Club championship. In 1986, Jeff Sarwer won the first boys world under-10 World Youth Chess Championship in Puerto Rico. In 1986, Julia Sarwer won the first girls world under-10 World Youth Chess Championship in Puerto Rico. On January 24, 1986, Albrecht Buschke, chess book dealer, died in New York City. On February 3, 1986 the Faroe Islands issued 4 chess stamps that depicted chess pieces. On February 5, 1986 North Korea issued a chess stamp to commemorate the World Championship between Kasparov and Karpov in Moscow. On February 27, 1986, GM (1954) Gedeon Barcza (1911-1986) died in Budapest, Hungary at the age of 74. He is buried at the Kerespesi cemetery in Budapest. On March 5, 1985, Ludmila Rudenko died. She was World Women's Champion in 1949-53 and Challenger in 1956. On March 13, 1986, the House of Representatives passed a resolution, sponsored by Charles Pashayan, recognizing Bobby Fischer as world champion. On March 17, 1986 Tanzania issued a chess stamp to commemorate the World Championship in London and Leningrad. On March 19, 1986 Tuvalu issued a chess stamp depicting a knight. On March 20, 1986, an episode (Season 6, Episode 19) called "Who Is Don Luis Higgens... and Why Is He Doing These Terrible Things to Me?" appeared on Magnum, P.I. (TV series from 1980 to 1988) where a man claiming to be Higgins' half brother shows up to play in a Hawaii chess tournament. In April 1986, Walter Browne tied for 1st in the National Open in Las Vegas. He tied with Joe Bradford, Dmitry Gurevich, and Sergey Kudrin. There were 238 players in the event. On May 10, 1986, GM (2001) Pendyala Harikrishna was born in India. On May 25, 1986, Heinrich Fraenkel died in London. He was also known as Assiac the chess author. On June 15, 1986, the 5th world computer chess championship was held in Cologne, Germany. It was won by Cray Blitz on tiebreaks over Hitech, Bebe and Sun Phoenix. On June 16, 1986 Mali issued two chess stamps to commemorate the World Championship in London and Leningrad. One stamp depicted floating chess pieces. In July 1986, Nick de Firmian won the World Open, held in Philadelphia. On July 24, 1986, GM (2002) Vugar Gashimov was born in Azerbaijan. He died in 2014. On July 25, 1986, the first half of the Kasparov-Karpov world championship match began in London. It was the first time a world championship was played in England. The London portion of the prize fund for the world chess championship between Karpov and Kasparov, held in London and Leningrad, was donated to the victims of the Chernobyl nuclear plant disaster. In 1986, the Men's World Chess Championship was finally changed to the World Chess Championship, open to men and women. On August 10, 1986, the US Chess Hall of Fame was formed. George Koltanowski was inducted into the U.S. Chess Federation Hall of Fame. On August 27, 1986, GM (1984) Georgy Agzamov (1954-1986) died at the age of 31. After finishing a chess tournament in Sevastopol in the Crimea, he was accidentally killed when he took a shortcut to go swimming, fell off a cliff between two rocks and became trapped. People around him heard his cries for help, but he was too deep down a cliff, and by the time rescue crews got to him, it was too late. He was the first Uzbekistan grandmaster. At one time he was ranked number 8 in the world, with a 2728 rating. He died a week away from his 32nd birthday. On August 28, 1986 Kampuchea issued a series of chess stamps depicting Ruy Lopez, Philidor, Anderssen, Steinitz, Lasker, Capablanca, and Alekhine. On October 8, 1986, Garry Kasparov defeated Anatoly Karpov in the world championship match, 12.5-11.5, in Leningrad. On October 13, 1986 Djibouti issued a chess stamp to commemorate the World Championship in London and Leningrad. On November 5, 1986, the 6th world microcomputer championship was held in Dallas. Mephisto 3 took 1st. On November 14, 1986 the United Arab Emirates issued a series of chess stamps to commemorate the 27th Chess Olympiad in Dubai. In 1986, the chess Olympiad was held in Dubai, United Arab Emirates. It may have been the most expensive chess Olympiad ever. The organizers offered $1 million for free airline tickets to teams who were reluctant to participate. 108 teams showed up, a record at the time (prior to this, Lucerne had 91 teams in 1982). Israel was not allowed to participate, but the Palestine Liberation Organization (PLO) was. Sweden, Norway, Denmark, the U.S. Virgin Islands, and the Netherlands refused to play in protest to the Israeli ban. 10-year old Heidi Cueller represented Guatemala and may be the youngest player to participate in the chess Olympics. The Guatemalan men's team was represented by four brothers names Juarez. The USA team defeated the USSR team, becoming the only team to defeat the Soviet team twice in a row in Olympiad competition. Judit Polgar won a gold medal in the Women's Olympiad at the age of 11. In November 1986, Walter Browne tied for 1st place, along with Lev Alburt and Boris Gulko, at the 22nd American Open in Santa Monica. There were 387 players in the event. On November 20, 1986 Mongolia issued a series of chess stamps depicting world champions Steinitz, Lasker, Alekhine, Botvinnik, Karpov, Gaprindashvili, and Chiburdanidze. On December 3, 1986, GM (2008) Joshua Friedel was born. On December 10, 1986 Yugoslavia issued a stamp depicting a knight, drawn by Vasarely. On December 29, 1986, the 62nd Hastings tournament was held. Chandler, Larsen, Lputian, and Speelman tied for 1st. On December 30, 1986, Venka Asenova died in Bulgaria. WIM 1965; Honorary WGM 1986.